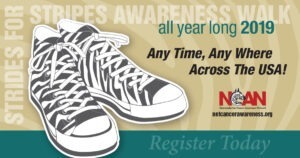 Attend An Upcoming NCAN Event! Although more research is occurring in the neuroendocrine cancer community than ever before, there remain many regions in the United States where it is difficult to access knowledgeable providers and trustworthy information about this disease, treatment options, and the latest findings. 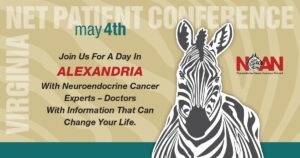 Patients know better than anyone the devastating effects of neuroendocrine cancer, but we all need the guidance of good doctors to ensure we can overcome. By attending an NCAN Patient Conference, patients, friends and family members gain access to the perspectives of leading institutions, physicians, and thought leaders who are dedicated to ensuring you or your loved one receive the best information and care. 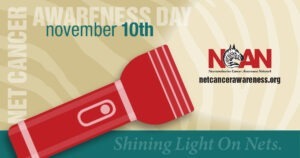 Donations gratefully accepted in support of NCAN’s programs!